Notice how some days you have a load more energy than others? For me I can directly see how it’s related to what I eat. These here comprise my favourite, most energizing breakfasts. 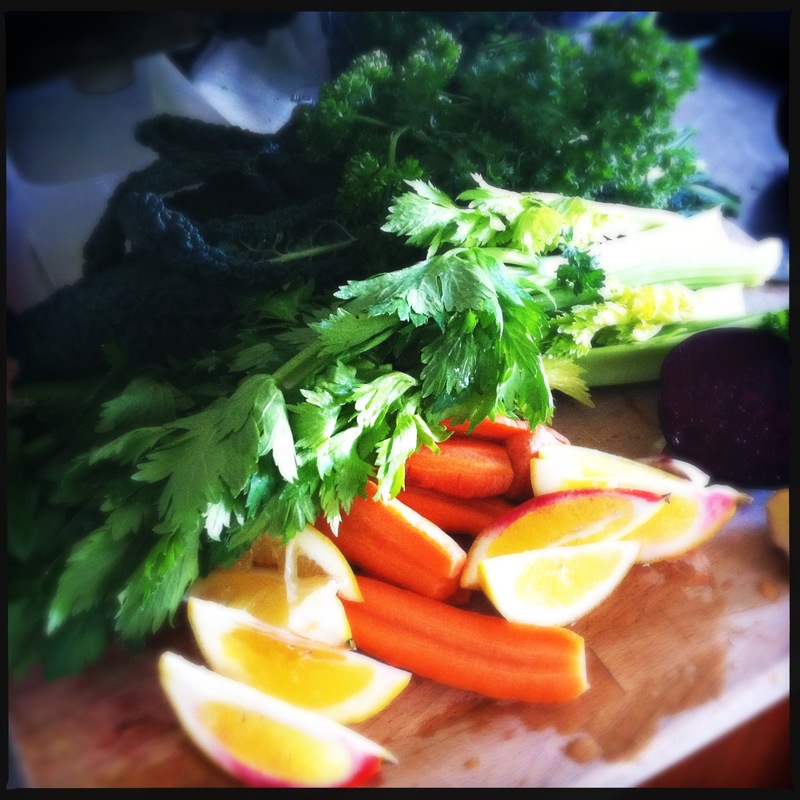 Starting the day with a burst of vibrant, vital nutrients from a homemade juice FEELS fantastic! This collection includes cavolo nero, celery (organic only please! ), carrots, lemon, beetroot, ginger. Delish and detoxifying. Half an hour later I have something like a salad and salmon (my favourite)…. 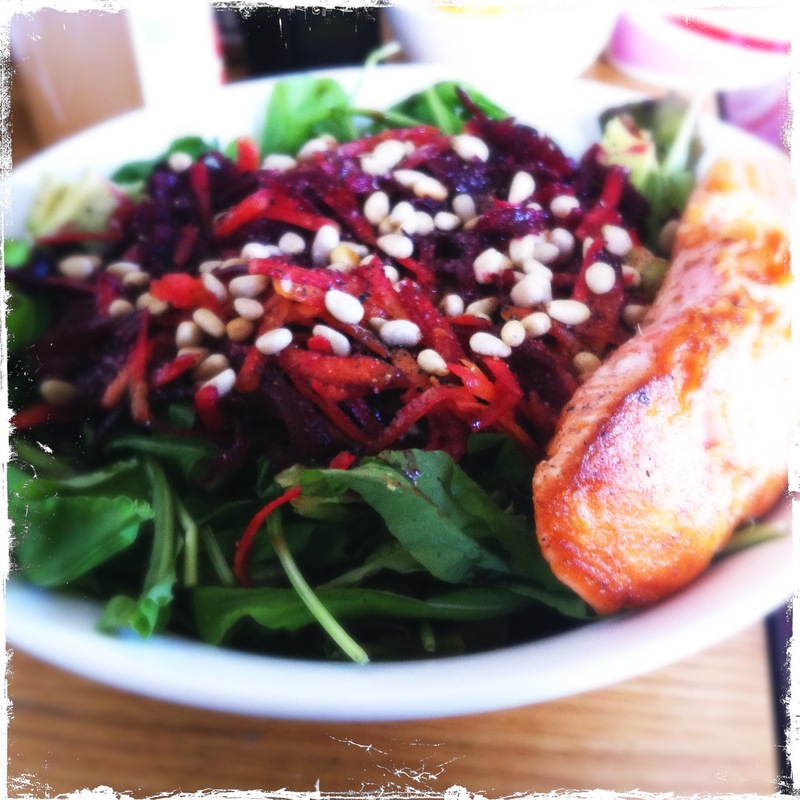 A BIG bowl of fresh salad with lots of greens, grated beetroot and carrot with a small piece of pan-fired (in butter or coconut oil) sustainably sourced salmon. … or an oniony or grated zucchini or parlsey egg scramble. If using onions, saute the onions first, before adding the eggs. If using grated zucchini or chopped parlsey, just whisk the eggs with a fork (doesn’t have to be a perfect job) and mix the greens in then just pour into an oiled (coconut, butter or ghee) pan and scramble. 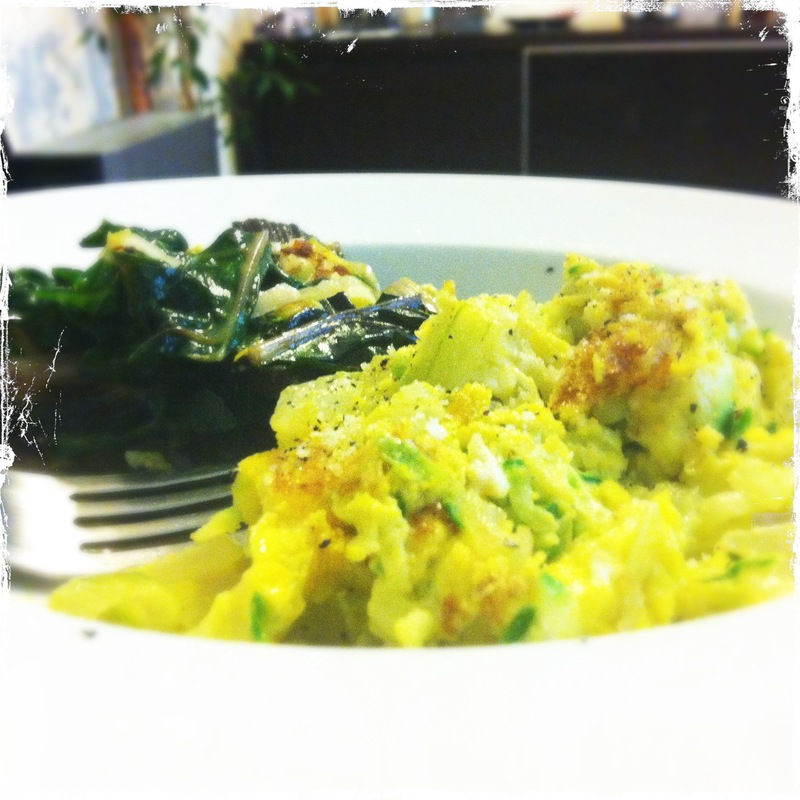 Grated zucchini scramble with a side of blanched greens. 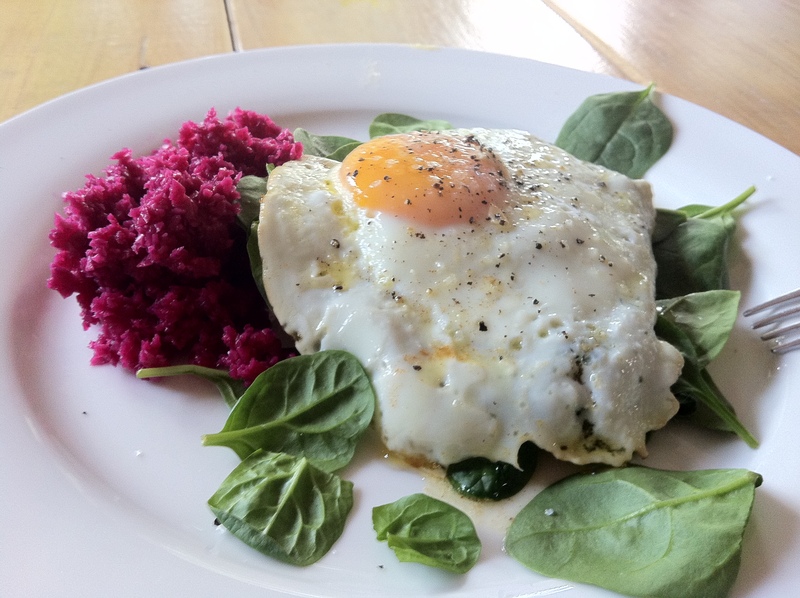 Or a good old fried egg on a bed of baby spinach with fermented veggies – yummo! Fried egg on a bed of baby spinach with fermented veggies. Hopefully this inspires you to include something green and live in your breakfasts – it’s quicker to prepare than you may think! Give it a try and see it affects your energy throughout the day. Check out the photo’s on this page for some more inspiration.